Instagram Live lets you broadcast video to your followers in real-time as part of Instagram Stories — a feature that launched in August and is now used by 100 million people every day. One key difference between Instagram Live video and existing live broadcasting products like Facebook live and Periscope is that Instagram Live video is completely ephemeral: as soon as the broadcast ends, the video disappears. No replays. 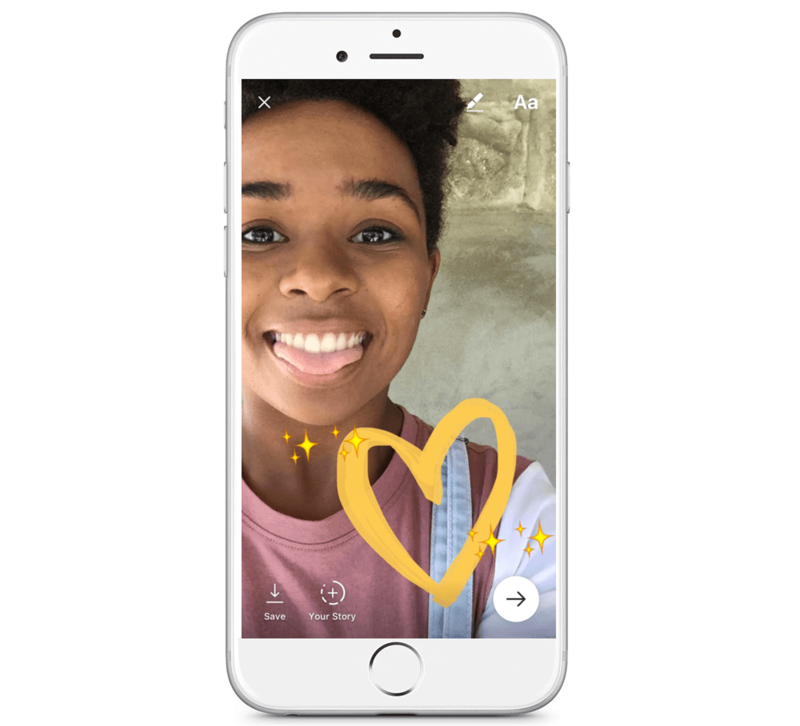 Alongside live video, Instagram has also launched another ephemeral Snapchat-like feature in its direct messages, enabling users to send disappearing videos and photos to individuals and groups within Instagram Direct. Live video will be rolling out globally over the next few weeks and disappearing messages in Instagram Direct will be live across the globe today. Let’s dive in and show you how you can use Instagram’s newest features. Live video on Instagram Stories helps you connect with your friends and followers right now, in the moment. Going live takes just a couple of steps from the Instagram stories camera, and when you’re done broadcasting, your video will disappear as soon as the stream stops, which could encourage more Instagrammers to jump on and feel more comfortable sharing live content. On the other hand, the fact that the content will no longer be viewable once the stream ends also creates a state of urgency for viewers to ensure that they don’t miss out. 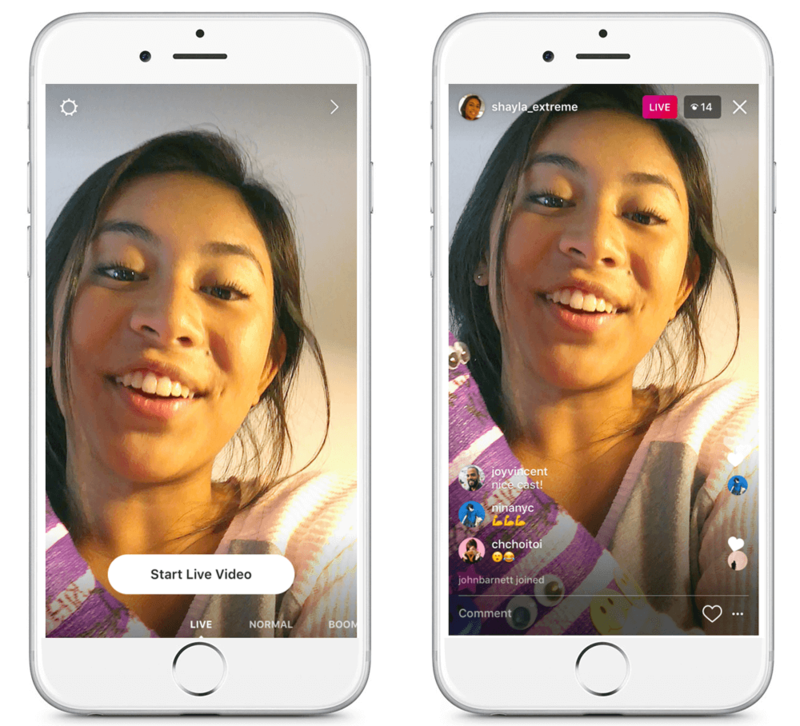 Live videos on Instagram can last for up to an hour, and followers may get a notification when you go live so they can tune in and interact with you during the broadcast. While you’re live, you can pin a comment for everyone to see or turn comments off altogether. Pinned comments could be a great way to frame the video and let everyone know what’s going on — a pinned comment could also be a great way to encourage interaction and responses from your audience. Instagram’s Explore tab will also feature current live stories and there will also be an option to tap “Top Live” to see what videos are trending in that moment based on number of viewers, location and engagement. You’ll be able to skip around the trending live videos by swiping right and left, making it incredibly easy to jump between live stories. P.S. You can get started with Buffer for Instagram for free right here. Live video is a great way to answer questions from your audience in an engaging way. It’s a perfect way to invite your audience to interact with some of your team and to show the people behind your brand. By opening up to questions in real time, you can use live video to build strong relationships with your audience. Social media is a two-way street, and it works best when you’re listening to your audience as well as sharing content with them. Live video provides the opportunity to do both. With a live video to celebrate a product launch or big announcement, you can let the world know about your big news and also interact with your audience at the same time. For an example of this, Nissan live streamed the launch of one if its latest models at the New York auto show. Many brands have used Instagram stories to take users behind-the-scenes in a myriad of situations, from what’s going on in the office to the set of their latest advert. Live video adds another element to what is already some of the most engaging content shared to Instagram stories. With Instagram live video, we’ll likely see more brands, influencers, and celebrities taking users behind-the-scenes and sharing a transparent look into their world. When Airbnb partnered with Disney as part of their Live There marketing campaign, they turned to Facebook live as a way to stream interviews from the red carpet at the Jungle Book premiere. Not all of us have the ability share interviews with famous movies stars from the red carpet, but we could create interesting interviews with influencers from our niche or even other members of our team. For example, you could interview a designer about how they designed your latest feature or link up with a well-known blogger in your niche and run a live interview. Takeovers have also been extremely popular on Instagram stories, with brands teaming up to create content for each other’s stories and we’ll likely see this tactic transition to Instagram live video as well. One of the most famous examples of live video online is when Buzzfeed took to Facebook live and stretched rubber bands over a watermelon until it eventually burst. This video had the perfect mix of weirdness and unpredictability and kept users engaged. The video has now amassed over 11 million views on Facebook and at its peak had over 800,000 people watching live. When it comes to live video, don’t be afraid to try something experimental and think a little outside the box. The second feature Instagram have debuted today is disappearing photos and videos within Instagram Direct. 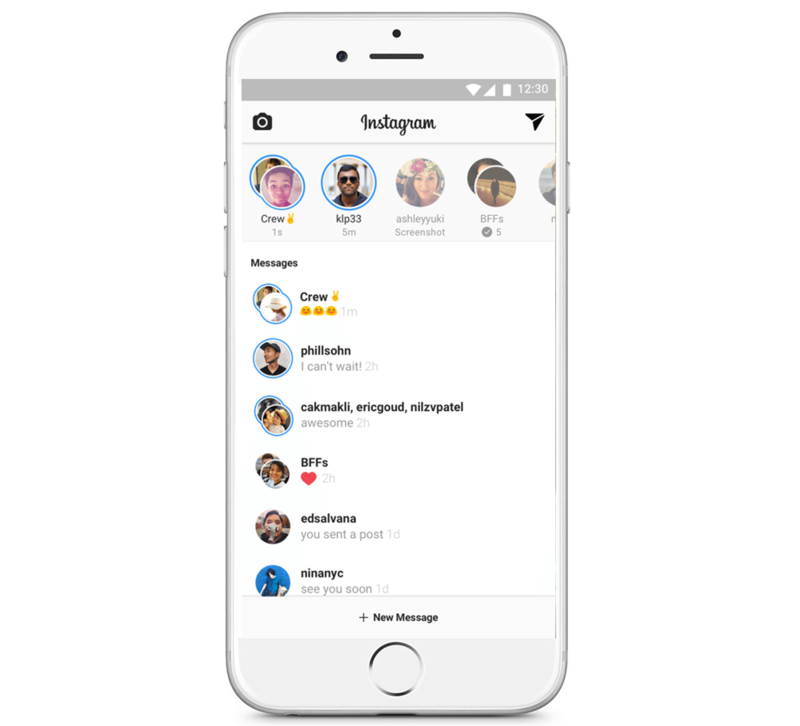 In a move that again edges Instagram ever closer to Snapchat, Instagrammers will be able to send disappearing photos and videos directly to groups and individual friends. Since Instagram made improvements to the way to their direct messaging system worked last year, the number of people who use Instagram Direct each month has grown from 80 million to 300 million — with many of these users turning to group threads every day to stay in touch with their closest friends and family. After clicking on the arrow to send the message you can choose a pre-existing group to send it to or create a new one in just a few taps — and you can also send to individual friends at the same time. These messages disappear from the recipient’s inboxes once they have viewed them once. And you’ll also see if they replayed it or took a screenshot. It’s also worth noting that, whether your account is set to public or private, you can only send disappearing photos and videos to people who follow you. Once this update is live for you, you’ll notice a new paper airplane icon at the top right corner of your feed – this will take you directly to your inbox – alternatively, you can also swipe right to get to your inbox. Disappearing photos and videos in a bar at the top, similar to the way stories are displayed in the main Instagram feed. Within the bar, blue rings will indicate new disappearing messages. Instagram Direct will remember your groups. So if you send an Instagram story to three people, Instagram saves that group in your Direct inbox so you can keep the thread going easily, rather than replying to each person in the group individually. Another great group messaging feature is that in a group message, you can see everyone’s responses — and who else has seen them — in a slideshow format. Then when you’re done, just tap their faded profile photo to send a quick response. 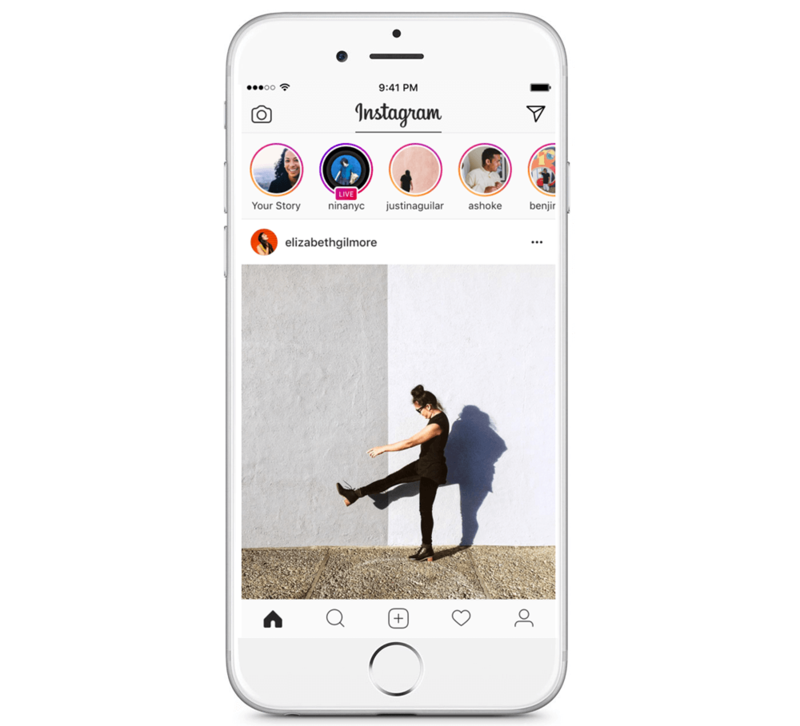 What are your thoughts on Instagram’s latest features? 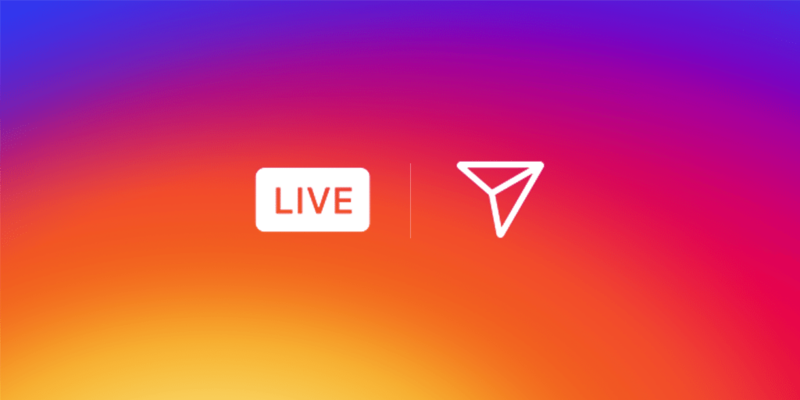 Are you excited to test out live video on Instagram? Will disappearing messages threaten Snapchat at all? Share your thoughts in the comments and I’d be excited to join the conversation. This article was written by Ash Read from Business2Community and was legally licensed through the NewsCred publisher network.